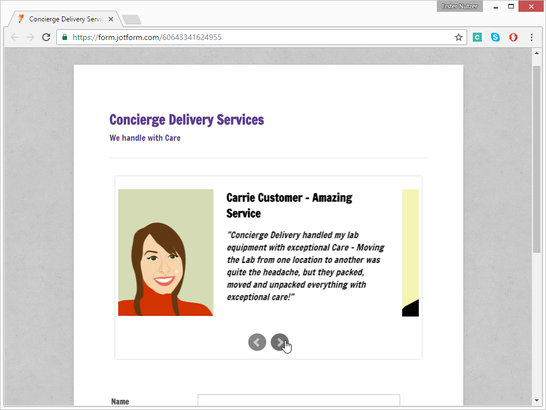 This widget allows you to add testimonials to your form so that when new or prospective customers are filling it, they can sample what others are saying about your services. 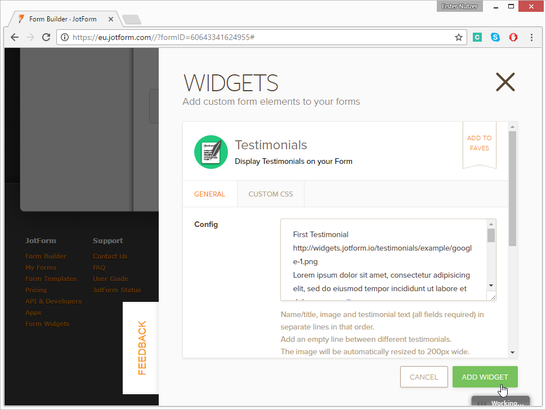 The widget is straightforward - you can add a title, an image and the testimonial text in separate lines in the widget settings dialog. 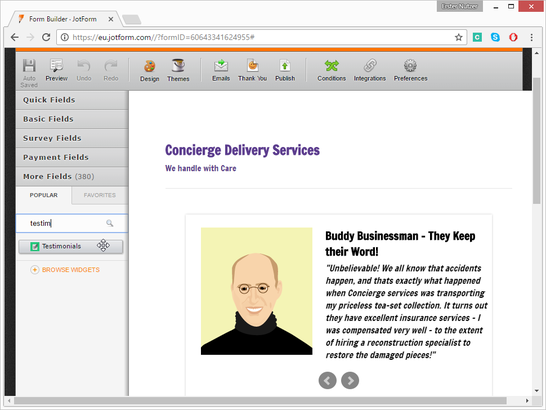 You can add more than one testimonial with the same configuration, and the widget will automatically scroll through each of them. 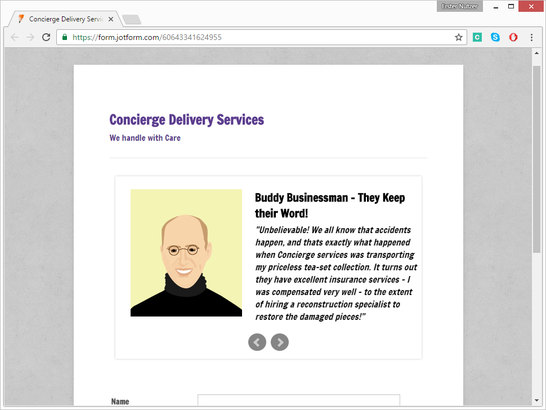 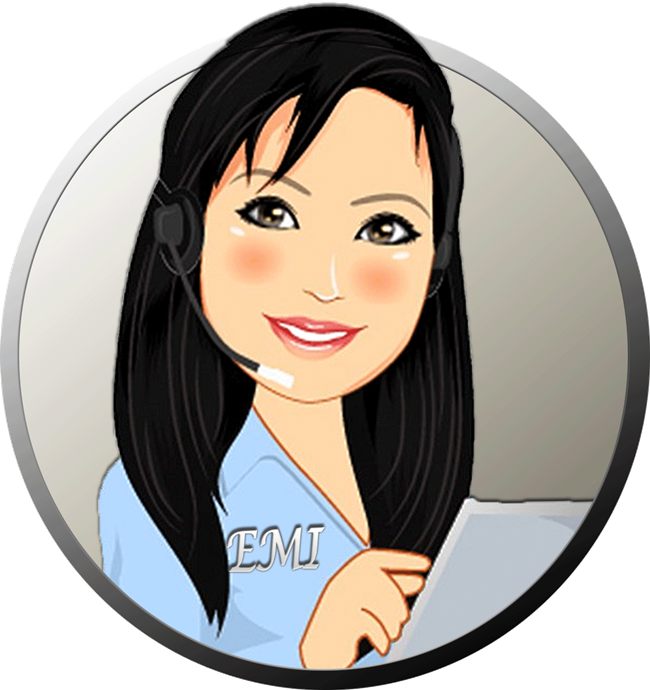 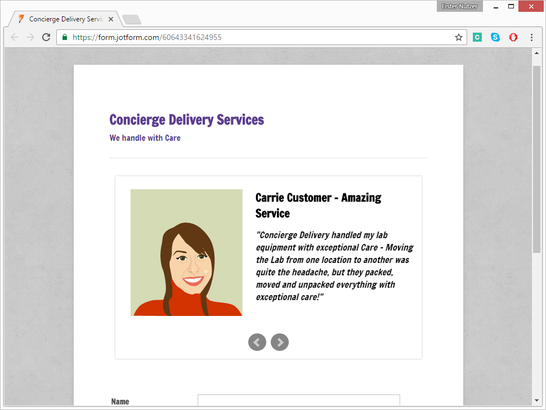 The Testimonials Widget is essential if your form is part of offering services to your customers; showcase feedback about how awesome your services are! 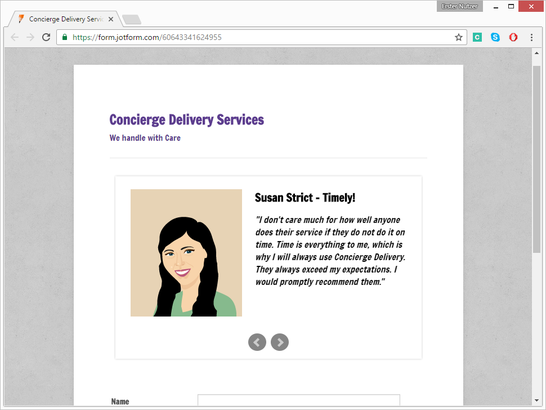 Can't we add addition field such as date and place?